Scott had heard of a new brewery between San Marcos and New Braunfels called Ruggedman Brewery that we decided to pay a visit to (more on that later). Since we were headed that way anyway, it seemed like a good time to swing by Hays County BBQ. We'd like what we'd seen of them at the Texas Monthly BBQ festival, so an up-close visit was in order. James, Scott, myself headed down there and met Ric (my boss) and Jerry (Ric's dad). Hays County is located on the feeder of southbound I-35. It's located in what honestly looks like a small former used car dealership. They have some inside seating and a large covered outside area out back with a venue for live music. They offer the typical selection of meats: pork ribs, sausage (original and jalapeno-cheddar), brisket, turkey, chicken, and pork chops. Between us we'll end up trying everything but the chicken. (James' comments: Thought the cheese was a little overpowering. James - 7.0/10, Scott - 9.0/10. Avg: 8.0/10. Original Sausage: The sausage is has an excellent snap, and is very tender. There's a touch of heat. I personally found it a touch greasy for my taste, but James and Scott both liked it more than I did. Tom - 7.0/10, James and Scott - 8.0/10. Avg: 7.66/10. Pork Chop: The pork chop is bone-in, and is cut to preference (so you can get it one inch thick, two inches thick, etc.). It is extremely tender and has some excellent spices complimenting the smoky flavor. Scott - 8.5/10. Tom and James - 9.0/10. Avg: 8.83/10. Pork Ribs: The pork ribs have a nice amount of spice and there's a good smoky flavor. There was definitely some variation in tenderness. Ric and I found ours to be reasonably tender, Scott felt his were a bit tough, and James thought his was too tough. Scores varied a lot here as a result. Tom and Ric - 8.5/10, Scott - 7.5/10, James - 6.0/10. Avg: 7.5/10. Brisket: The brisket has a heavy smoky flavor, and there's a bit of pepper complimenting it (although smoke is definitely dominant). It is very tender and well-rendered. My impression was that we all felt it could use a heavier rub, and scores seemed to vary depending on how much one likes smoke as the primary flavor. Ric - 6.5/10, Jerry - 7.0/10, Scott, James, Tom - 8.0/10. Avg: 7.5/10. Turkey: The turkey was tender and extremely juicy. It had a nice light smoky flavor, and a goodly amount of pepper. Interestingly, the pepper flavor in the turkey was stronger (or at least more noticeable) than it was in the brisket. James - 7.5/10. Ric, Scott, Tom - 8.5/10. Jerry - 9.0/10. Avg: 8.4/10. So what's the verdict on Hays County? Well, you can look at it a couple of ways. We had three items that averaged 8 or higher, which certainly ranks it as excellent in our book. But you can also note that on every item that had more than two people scoring it, at least two people found the item in the excellent range (8 or higher). So excellent ratings had a plurality or a majority for every item there. 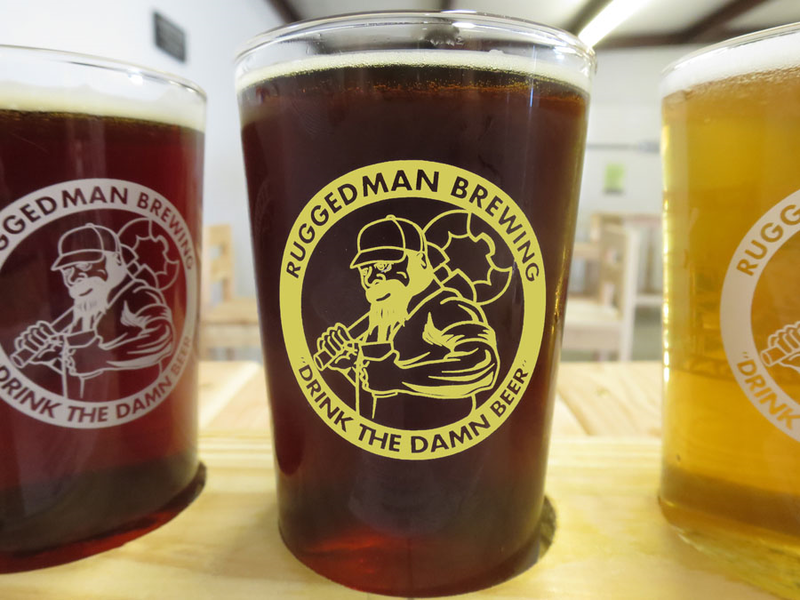 Incidentally, once you have had your BBQ, head a few miles further south to Ruggedman Brewery (aka Drink the Damn Beer!). 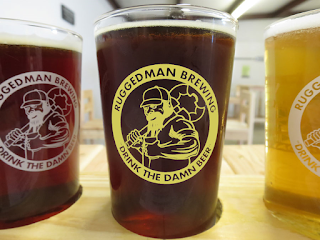 It's run by three former marines who wanted to get into the brewing business. They are turning out some excellent beer! I still can't get over this great place I recently visited! This isn't only a good place. It is also one of the best Chicago event venues around here. There isn't a listing of the unique offerings, although there should be! This place was magnificent! Thank you for reviewing! The food looks so great!